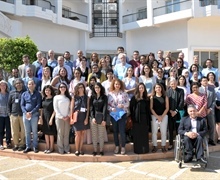 Eligible early-career scholars from Africa and the MENA region are invited to apply for participation in the 2019 MENA RDG and Africa RDG . All attendees of the 2019 APSA annual meeting in Washington, DC are invited to join one of two Research Development Groups featuring research undertaken by African and Arab scholars. Each short course will feature panel sessions with intense discussion and feedback on each paper. Discussion will be moderated by faculty from the US, with a goal of identifying key areas for improvement in pursuit of publication in peer-reviewed journals. The courses are open to enrollment from any APSA member interested in engaging with these discussions and networking with scholars from the Arab Middle East and North Africa. See " Pre-Conference Short Courses " for further information. APSA's International Workshops will continue in 2019 with programs in both Asia and the MENA region. 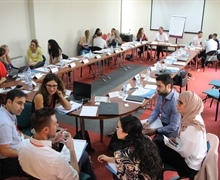 Early-career scholars from the Arab Middle East and North Africa are invited to apply for the 2019 MENA Workshops in Abu Dhabi and Rabat. Early-career scholars from East and Southeast Asia are invited to apply for the 2019 Asia Workshop in Penang. Contact [email protected] and [email protected] for more information. APSA and the U.K. Political Studies Association (PSA) invite Organized Sections and Specialist Groups to submit proposals for an International Engagement Grant. The program is intended to foster closer links between the associations and provide opportunities for research collaboration. Funding of up to £3,000 is available to support the costs of overseas travel and personal accommodation in order to participate in specially arranged workshops, meetings or symposia. We especially encourage applications that incorporate early career researchers and draw on participants from a diverse range of institutions. The deadline for applications is March 4, 2019. For more information, visit the Political Studies Association website. 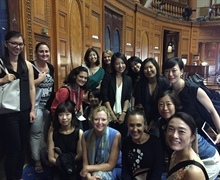 APSA’s Asia Pacific Workshops are an annual fellowship opportunity for PhD students and early-career political science faculty from East and Southeast Asia. 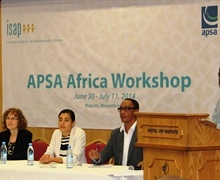 APSA offers a series of intensive summer workshops that bring together approximately 25 scholars for training in research and writing skills and to foster regional and international collaboration. For more information, visit Asia Workshops online. 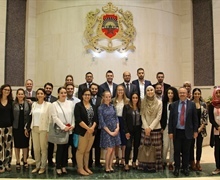 The MENA Workshops program is a multi-year collaboration with early-career political scientists in the Arab Middle East and North Africa to enhance scholarly networks and support political science research across the region. Since 2013, over 100 scholars from 25 different countries have taken part in the initiative. For more information, visit MENA Workshops online. 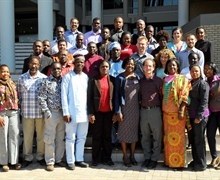 The Africa Workshops program was an eight-year collaboration with early-career political scientists in sub-Saharan Africa to enhance scholarly networks and support political science research across the region. 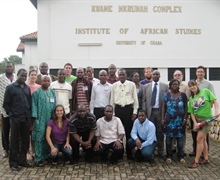 From 2008-2015, over 230 scholars from 32 different countries took part in the initiative. 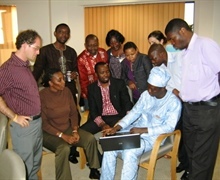 For more information, visit Africa Workshops online. The deadline to submit a proposal to the annual meeting is March 15, 2019. The meeting will be held in Boston, MA from November 21-23, 2019. The deadline to submit a proposal to the annual meeting is February 15, 2019. The meeting will be held in San Francisco, CA from November 23-26, 2019. The deadline to submit a proposal to the annual meeting is February 15, 2019. The meeting will be held in New Orleans, LA from November 14-17, 2019. Pre-registration for their annual meeting closes on February 21, 2019. The meeting will be held in Denver, CO from March 21-24, 2019. Pre-registration for their international congress closes on March 14, 2019. The meeting will be held in Boston, MA from May 24-27, 2019. The deadline to submit a paper proposal to the annual meeting is May 31, 2019. Registration for their annual meeting opens on February 1, 2019. The meeting will be held in Belfast, Northern Ireland from June 20-22, 2019. The deadline to submit a proposal to their world congress opens on May 20, 2019. The meeting will be held in Lisbon, Portugal from July 25-30, 2020. The deadline to submit a panel or paper proposal for the next general conference is February 18, 2019. The meeting will be held in Wrocław, Poland from September 4-7, 2019. APSA's Targeted International Membership (TIM) is available to scholars in low-income, non-OECD countries. Established as part of APSA's internationalization initiative in 2005, TIM provides the opportunity for scholars residing in eligible countries to become full members of the Association at a significantly reduced annual dues rate of $45. Benefits of TIM include complete access to APSA benefits, including: online services; discounted publications; eJOBS service; subscription to the electronic or hard copy versions of PS: Political Science & Politics, Perspectives on Politics, and the American Political Science Review; discounted registration for the Annual Meeting; and access to the Directory of Members. Learn more here. The James Bryce fund was established in honor of the British historian and politician, to support the global study of political life and the internationalization of the political science discipline and profession. 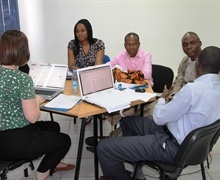 The fund provides supplemental support for research residencies at the Centennial Center and elsewhere, collaborative research workshops involving political scientists from the United States and abroad, and teaching and curriculum development programs for emerging political science communities. Annual deadlines for submitting a research grant application are June 15 and December 15. For more information, click here. The committee on international political science recommends policy to the APSA council with regard to international membership issues, supports relationships with other national and international political science associations, and promotes the inclusiveness of APSA's work and activities in ways that transcend national boundaries. See the more on the International Committee here.